There are very few absolutely true things in this life, but one of them is you shouldn’t drink lead. 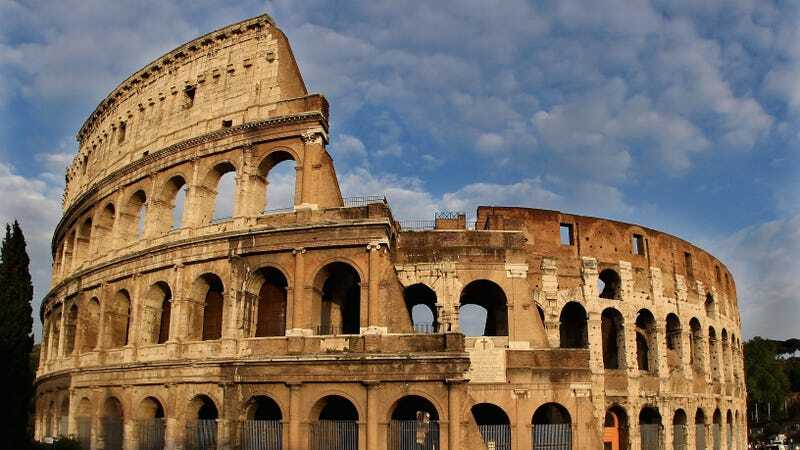 Historians have long believed that ancient Romans learned this the hard way—it’s been said that lead used in water pipes and cooking materials could have poisoned Romans and contributed to their downfall. Now, new research has complicated this age-old mystery, suggesting the real culprit was something even more toxic. Researchers at the University of Southern Denmark have been studying a 40 milligram pipe fragment recovered from Pompeii, the Roman city infamously destroyed by a volcanic eruption in 79 AD. Using a mass spectrometer, the team separated all the elements in the sample, and found “alarmingly high concentrations” of a chemical called antimony within it. According to the researchers, antimony could have contributed to killing Roman citizens since it acts very quickly, leading to diarrhea, vomiting, and potentially even cardiac arrest. Lead, on the other hand, calcifies rapidly, so it might not have been able to slide into the Romans’ drinking water. The group’s findings have been published in Toxicology Letters. Antimony is naturally found in the Earth’s crust, but it is usually alloyed with lead. If the premise of this study is accurate, Romans could have been exposed to antimony constantly, as their lead pipes would have contained it. Obviously, much more mass spectrometer analysis needs to be done on other artifacts before we blame antimony. Perhaps the greatest mystery of all is why the Romans continued to drink something that was giving them explosive diarrhea.